Looking for a beautifully designed food gift box?! 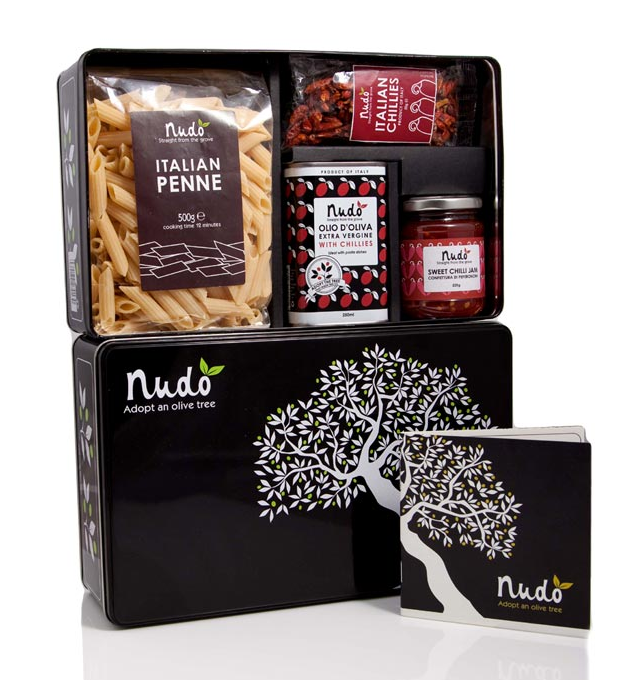 Wouldn't these Nudo gift boxes be a perfect gift for a foodie? See them all here. These look amazing! I think product design is crucial, and I would gift these for sure. I've seen these before.. can't remember where, but I wanted to get them for myself! 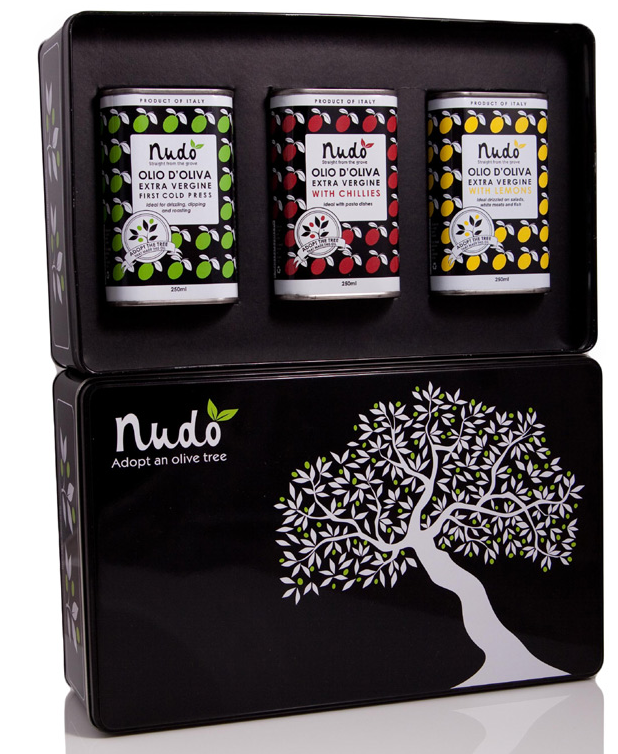 I adopted a Nudo olive tree for the Mr's birthday one year, and they send you a package of oil from your tree and a second package with specialty oil/soap/etc. The packaging is even more gorgeous in person than in the photos, and the oil is top notch. Their customer service is very helpful and prompt also! So weird, I just included a post about Nudo on my own blog today! We got this as a wedding gift and it is AWESOME! We got the adopt a tree program and have received our final pressing of flavored oils. I'm telling you, this olive oil is good enough to drink. Promise. Wow - those are amazing. the lemony olive oil would be delish on some linguine with a sprinkling of cheese for a quick meal!